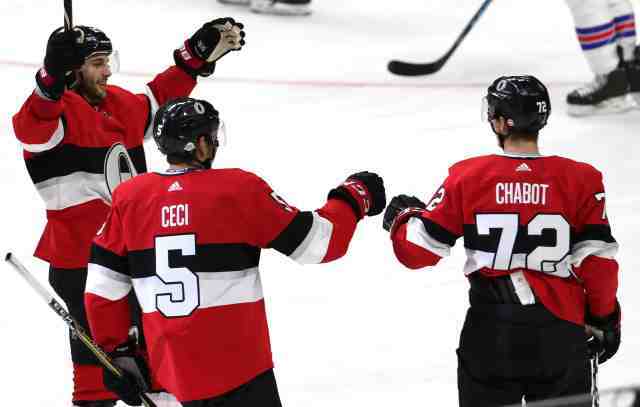 TSN 1200: Ottawa Senators GM Pierre Dorion said that they’ve already head preliminary contract talks with defenseman Thomas Chabot. They want to sign him to a long-term extension. Chris Stevenson of The Athletic: Contract talks with defenseman Cody Ceci are ongoing and have been positive. Ceci was awarded $4.3 million through arbitration last offseason and it was looking like it may be his last season in Ottawa. It sounded like last week that both sides were wanting to get something worked out. “I think we’re on the same page now going forward and we’re trying to avoid anything short term especially since I’ll be unrestricted coming up. We’re trying to get something done with a little bit of term and I think it could happen and hopefully I’ll be here for a long time,” Ceci said. Ceci added a long-term deal might help out his play. Aaron Portzline of The Athletic: Columbus Blue Jackets pending unrestricted forward Matt Duchene is liking his time in Columbus.